"Bone daddy" is an old slang term for an erection. Stripped of its genital connotations, it was playfully popularized by Tim Burton's A Nightmare Before Christmas (1993) -- the head ghoul, Jack Skellington, was called "Bone Daddy." "Mack daddy," of course, is slang for "boss pimp," given world-wide currency by rappers. book/daddy certainly hopes the "Big Daddy" echo in his name doesn't mean he's going to get fat, appear in a Tennessee Williams play and say "Mendacity!" a lot. 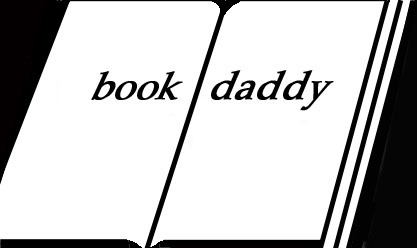 It was actually book/daddy's wife Sara who came up with "book daddy." We switched to DSL service and had to devise a new e-mail address because all possible variations of "Weeks" and even "weex" were taken. Such swaggering phallocentrism may seem uncharacteristic of such a modest fellow as book/daddy. Or just laughably improbable for a book columnist. To which book/daddy can only note that three women established the well-known litblogs, Bookslut, Bookbitch and Booklust. So a big, swinging masculine handle did not seem entirely out of order. Besides, Bookninja was already taken. And Pathetic Fallacy would only confuse most readers. Some people have also pointed out that the puns on blues and hiphop slang combined with my name, Jerome Weeks, suggest that book/daddy is black or some white-boy hiphop wannabe: the Eminem of litcrit. Stopping this line of thought is partly why book/daddy's pale face is outfront on the blog. Actually, book/daddy didn't encounter the African-American association of his name while growing up in Detroit. But after he moved to Texas, many people, black and white, did tell him that "Jerome Weeks" sounds like "Tyrone Washington" to them. It "sounds black." Indeed, while working at the Houston Post and then The Dallas Morning News, book/daddy occasionally received phone calls and e-mails from readers inquiring about (more accurately, demanding to know) his racial identity. To which one can only quote Fats Waller: "One never knows, do one?" This page contains a single entry by book/daddy published on September 27, 2006 7:25 PM. A professional critic is the next entry in this blog.